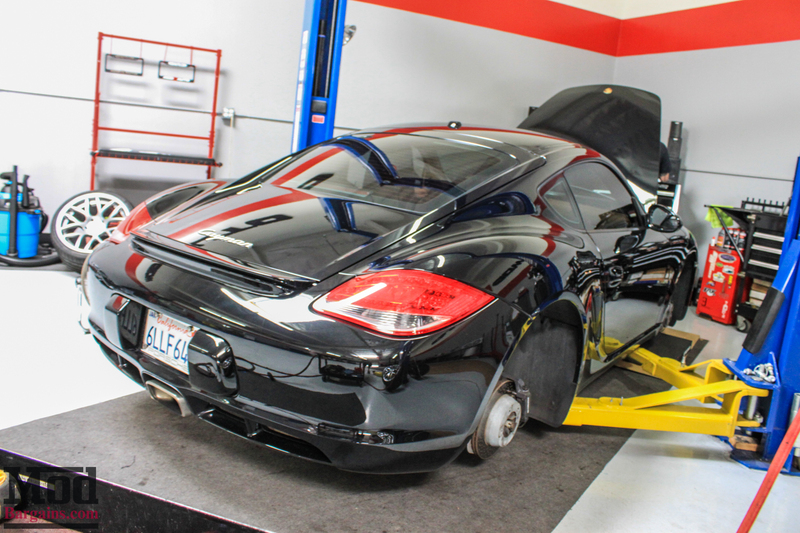 This morning Andre S’ Porsche Cayman came into the shop to be fitted with the two best mods for any car – a set of wheels for Porsche Cayman and a drop for the Cayman Suspension – set up with a little help from Sr Mod Expert Alan Wei. 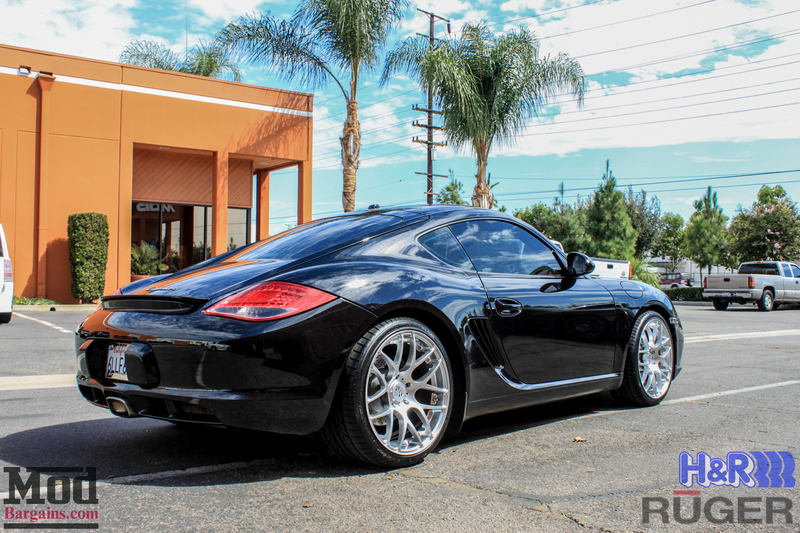 Alan recommended a set of Ruger Mesh Wheels for Porsche, spec’d out at 19×8.5 ET45 up front, and beefy 19×11 ET40 wheels in the rear. 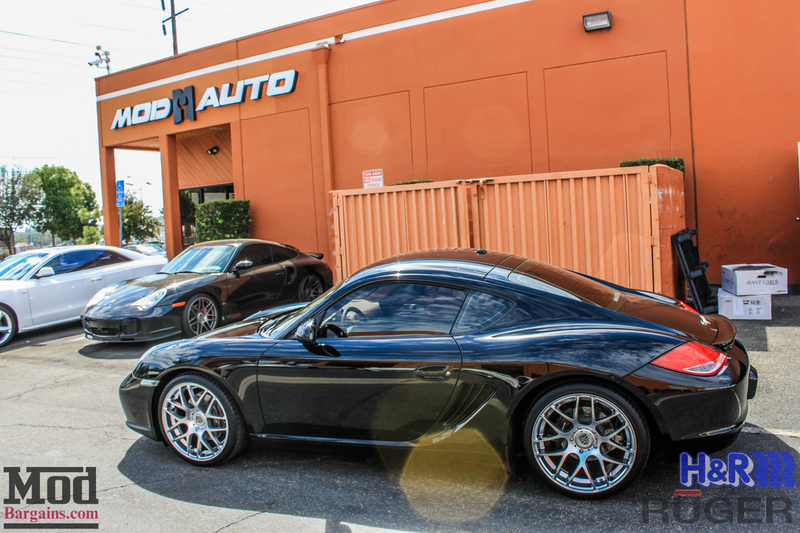 Of course, with wide wheels, you need some quality rubber to match, so a set of Hankook Ventus V12 Evo2 tires in 235/35-19 / 285/30-19 for a nice staggered fitment that will perform as good as it looks. 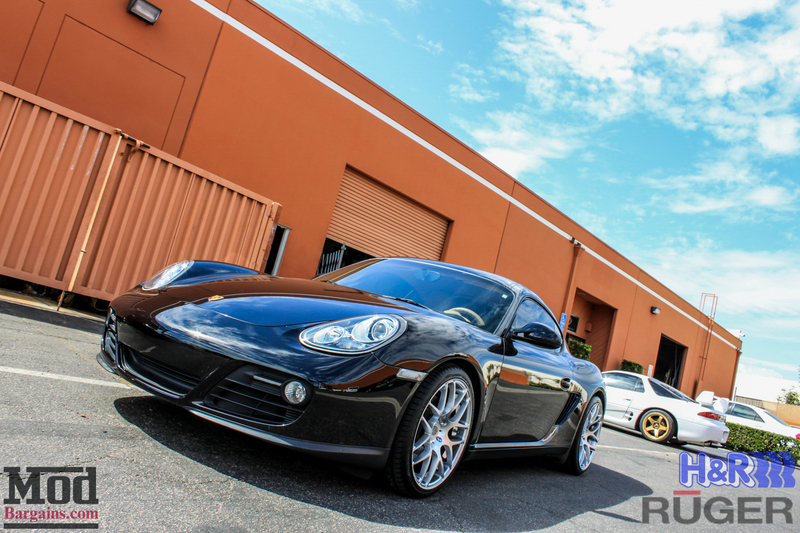 To lower the Cayman, we fitted a set of H&R Sport Springs for 981-chassis Porsche Cayman models. Here’s how the front springs look installed as a part of the suspension. 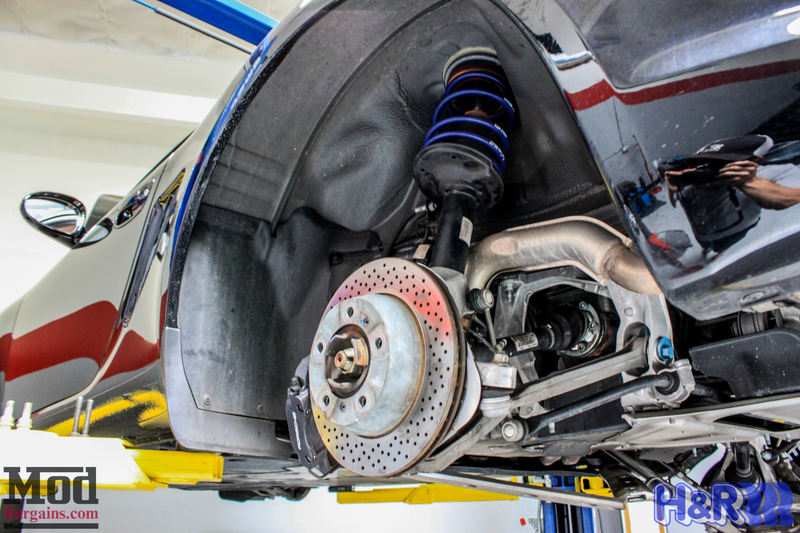 Here’s how the rear springs look installed. 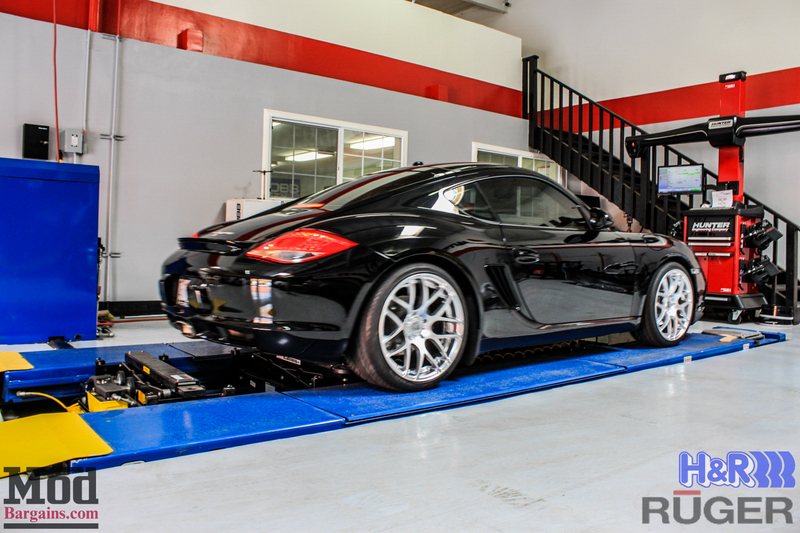 When you lower a car, the alignment needs to be corrected – so we pulled the Cayman onto our Hunter Alignment rack (Click here to schedule an Alignment today, 4-wheel Alignments Start @ $125) to make sure the suspension tracks straight and true. 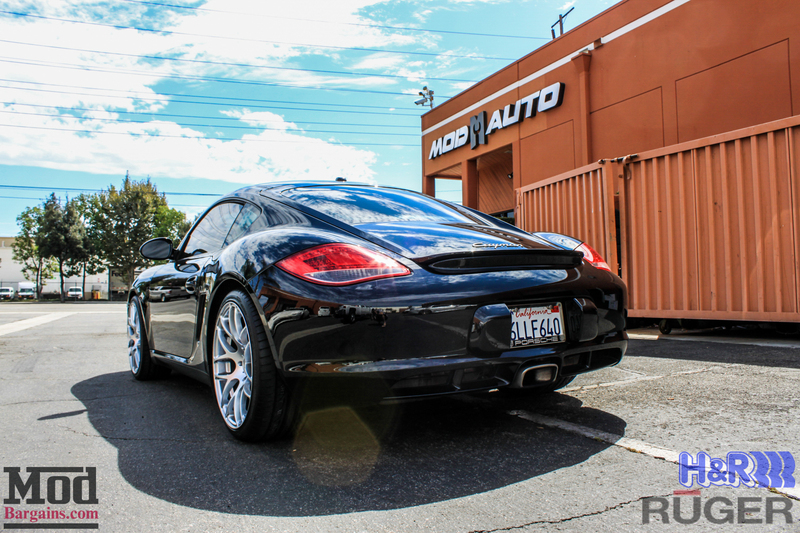 After getting the suspension set to spec, we pulled it off the rack and out into the sun to appreciate the beauty of this P-Car. 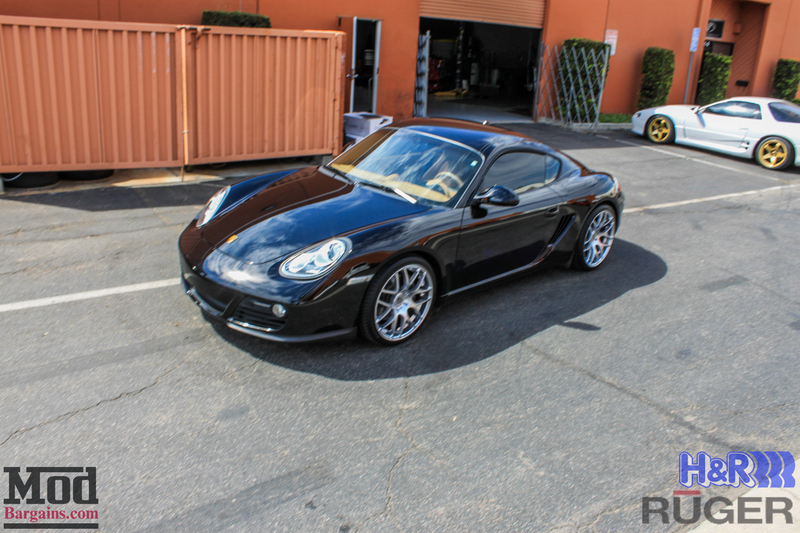 The 981 facelift really cleaned up the look of the Porsche Cayman, and dropped on the H&R Springs and rolling on the Ruger wheels, the car is perfect – how it should have come stock, really. 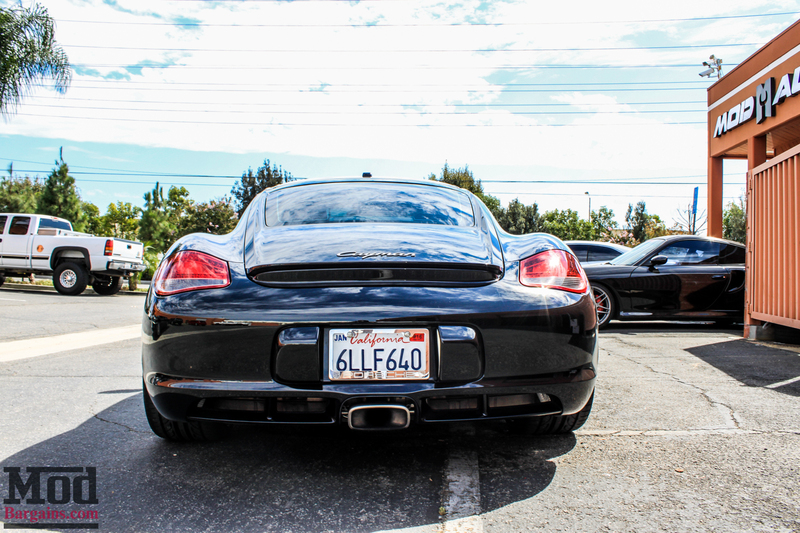 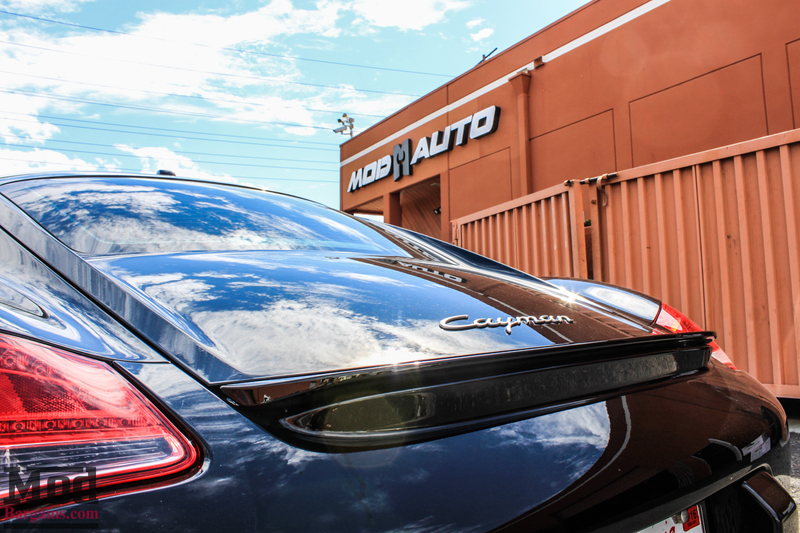 The updated Cayman is gorgeous from every angle. 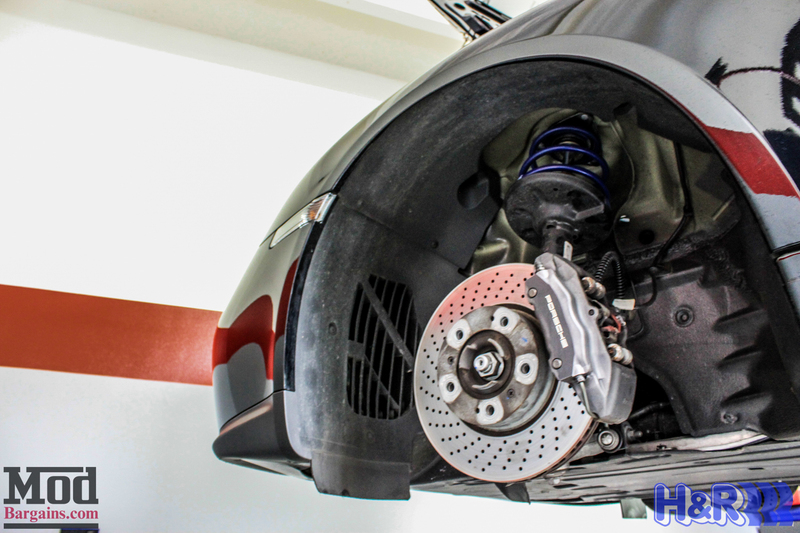 From the side profile you can really appreciate the drop – just enough wheelgap as needed for a street-driven car to drive around without too much worry. 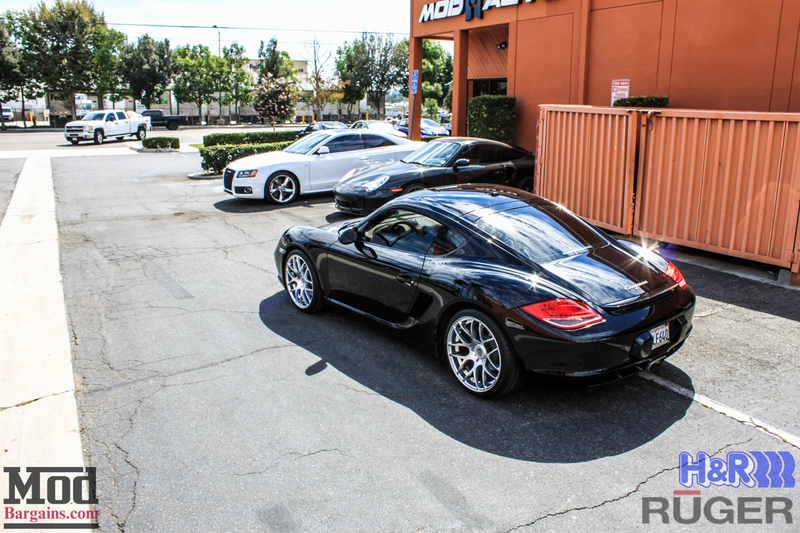 We love the way the Cayman turned out, and we hope you enjoyed the photos. 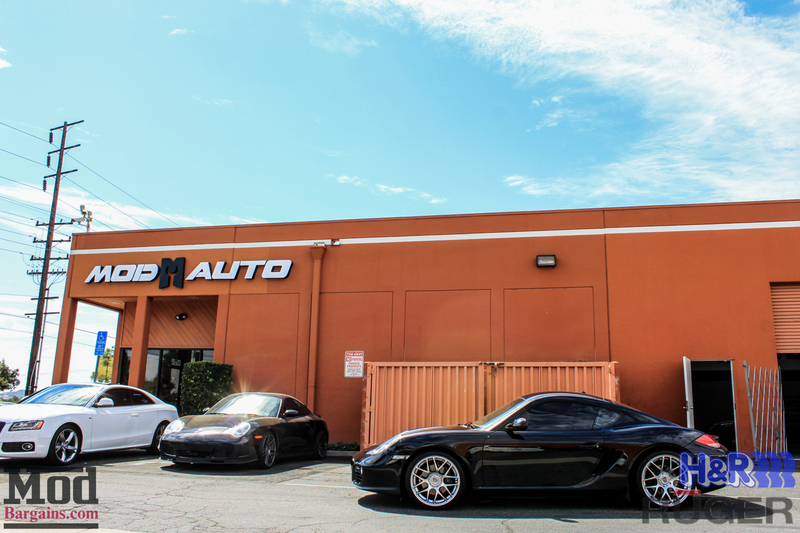 Have questions about modding your Porsche? 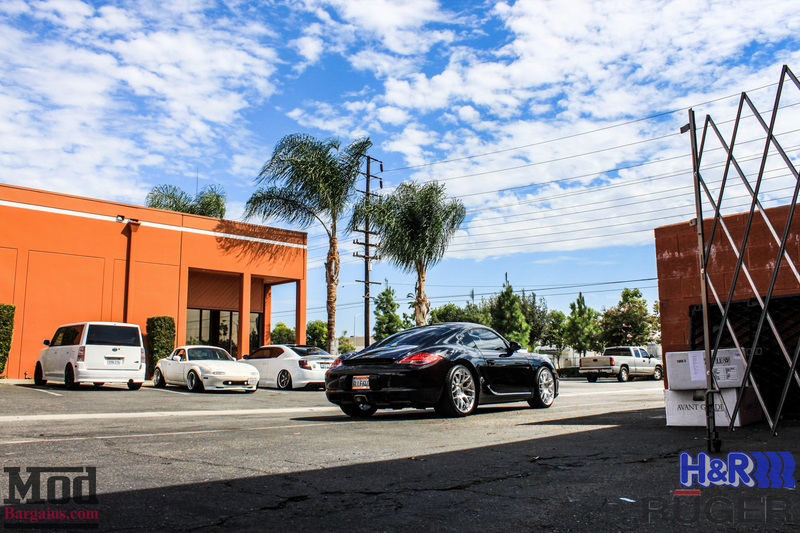 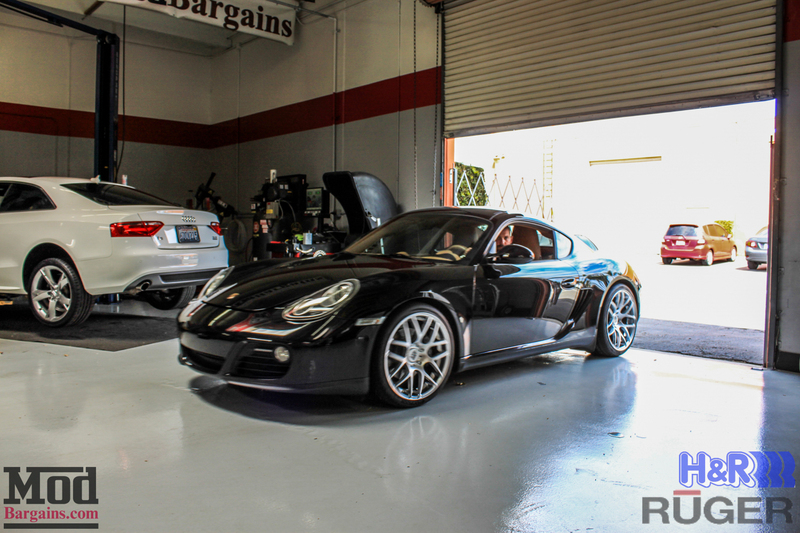 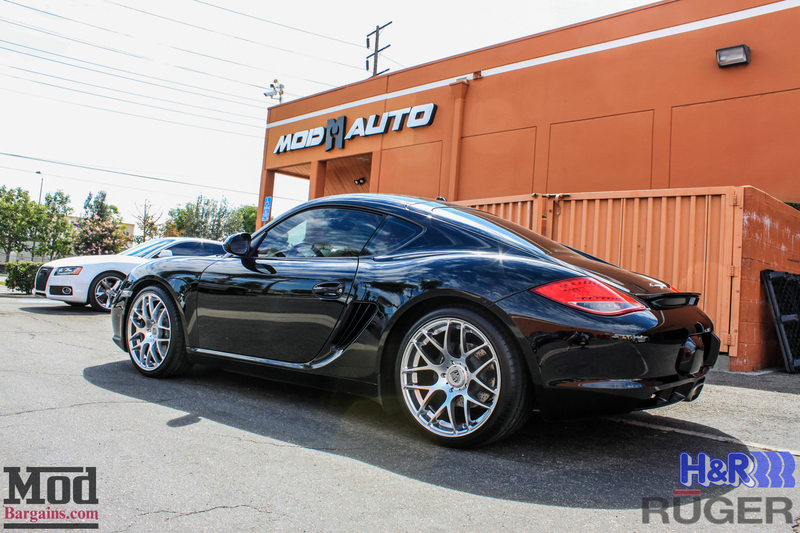 Ask our team of Mod Experts and Porsche Specialists for their advice – Call 714-582-3330 (x8006 for Sr Mod Expert Alan Wei), chat live at ModBargains.com, or just stop by the ModAuto showroom in La Habra, CA during business hours.